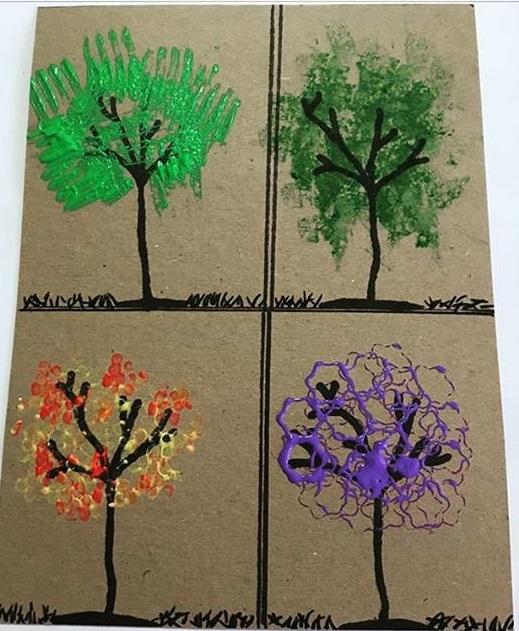 I needed to did this!!! 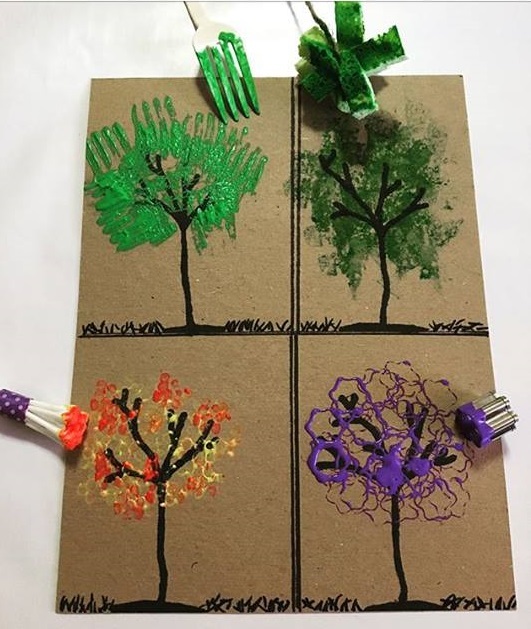 I’ve been holding off because I’ve been making them make crafts with lots of materials.So creative.We used plastic fork,q-tips,cokie cutters(shapes) ,sponge and cotton tips or different materials used you. 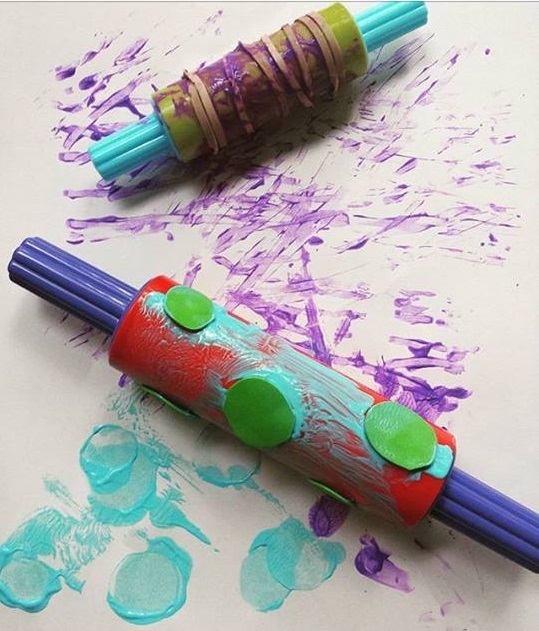 Rolling pin painting using our play dough rolling pin and trying rubber bands and taping foamy circles for dun patterns:( sad that I could not find bubble wrap for another fun patterns. 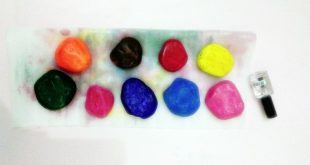 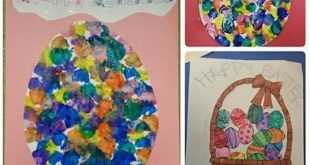 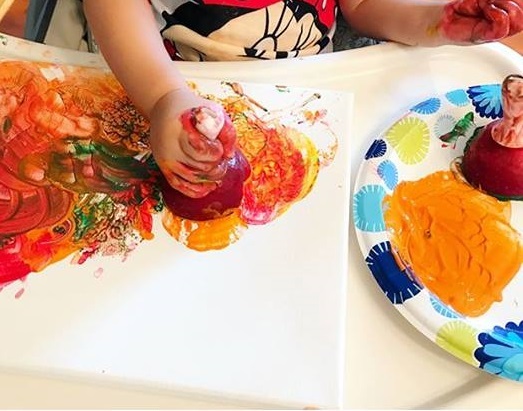 Children love to paint in this period. 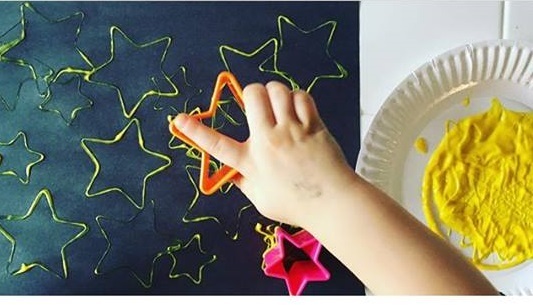 Space Theme.Some simple star stamping using cookie cutters.Reinforcing the color yellow,star shape and identifying small,medium and large. 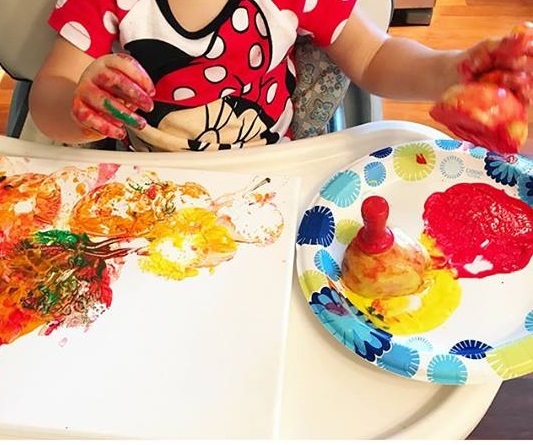 For this,I sliced two apples in half to be used with four paint colors.I used large corn holders to stick into the apples for her little hands to hold onto when stamping in the paint and on the canvas.I showed her how to stamp the apple first and then let her have at it.She stamped and slid the apples around,but didn’t finish until she got to mix up the paint with her hands too. 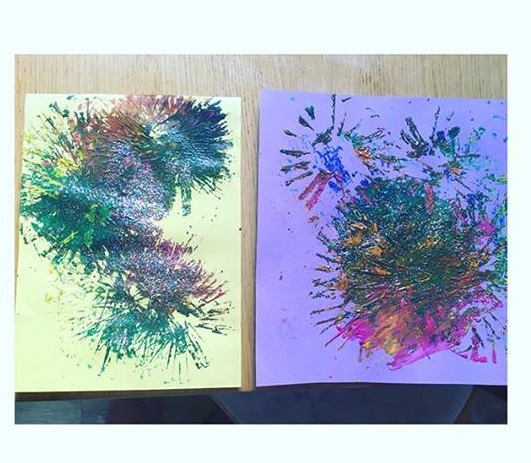 Since we burned sparkles yesterday we painted fireworks today.The girls enjoyed it and especially C.
This hammering activity was so fun. 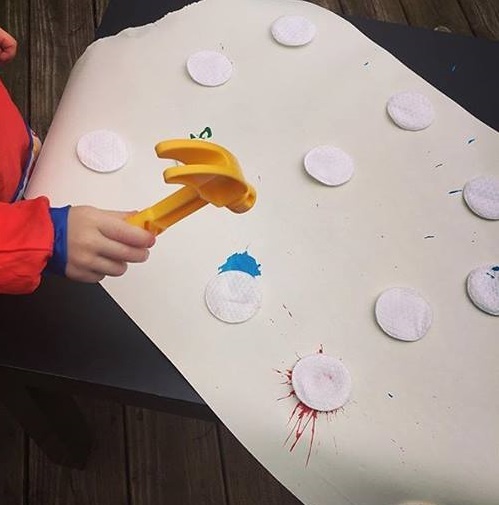 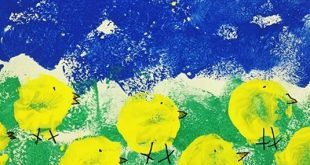 I put dabs of washable paint on a large sheet of paper then covered them with cotton pads.My son had to hit them with a hammer to see what color was underneath.It only took doing one inside to decide that this was definitely and outdoor activity.Fun process art that’s also great for hand-eye coordination. 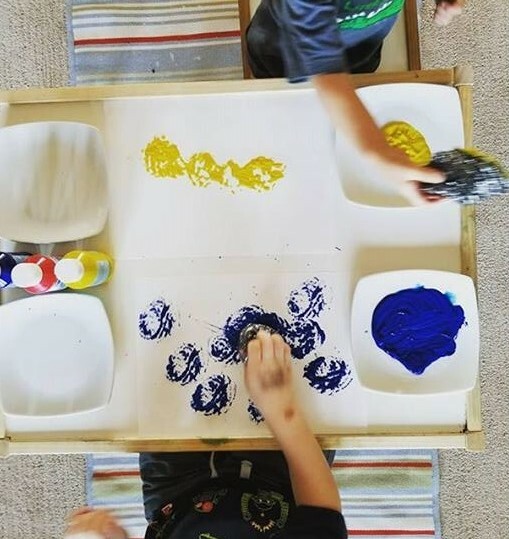 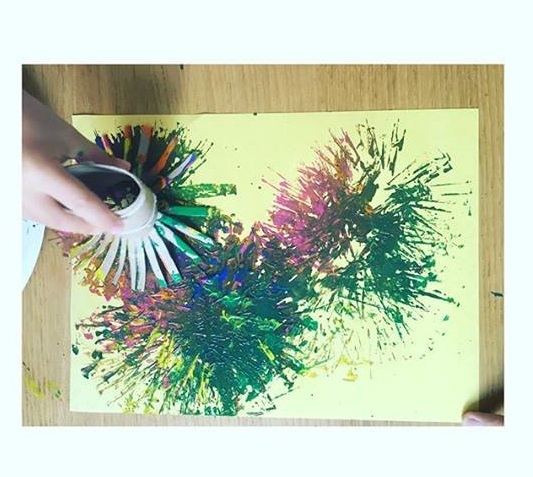 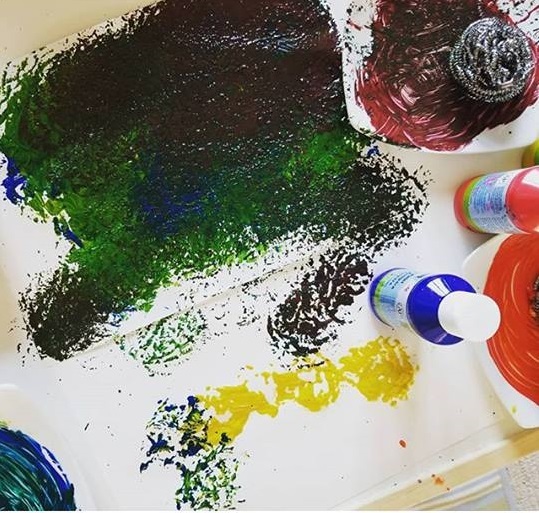 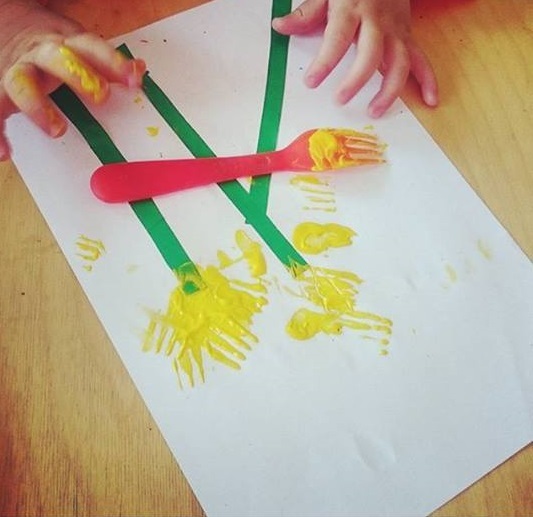 Place the paper on the bottom of the container.Stretch the rubberbands across the container.Demonstrate the activity for your child.Paint the rubberbands with the paint.Pull on the bands and watch the paint splatter onto the paper.Repeat. 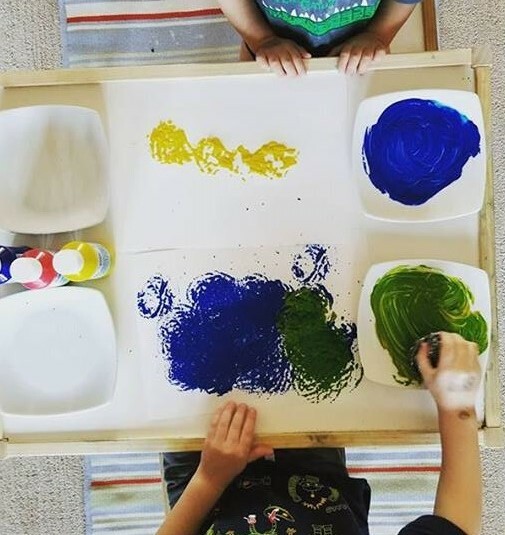 We started our ball unit this week.First thing we learn about is how they move.So what better way to learn than to paint with them? 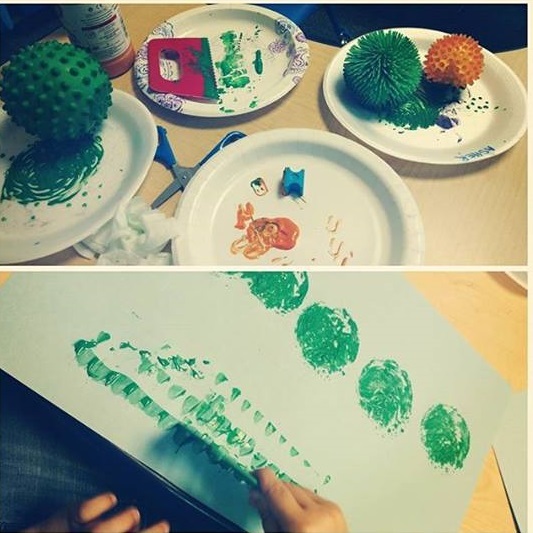 And what animal is round and moves like a ball,a caterpillar.This painting activity was a blast. 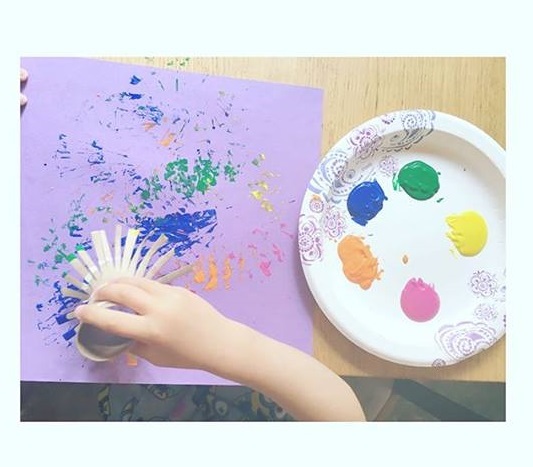 I just cut different length slits into the end of the paper towel rolls and fanned them out.Once these were dipped in paint,they created an amazing pattern on the paper. 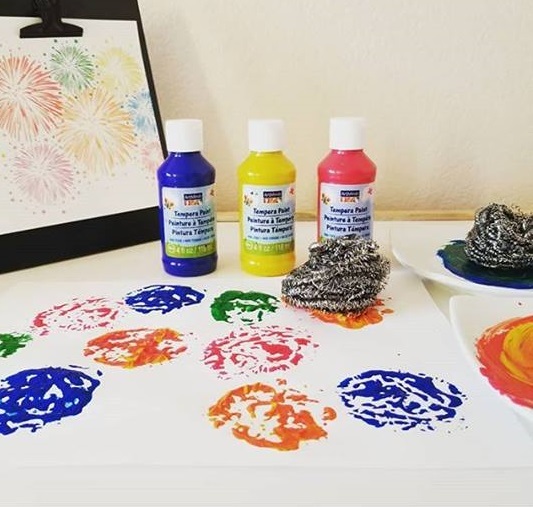 Love how our firework prints turned out. 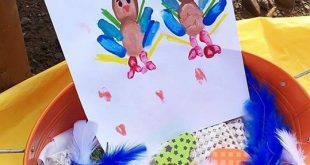 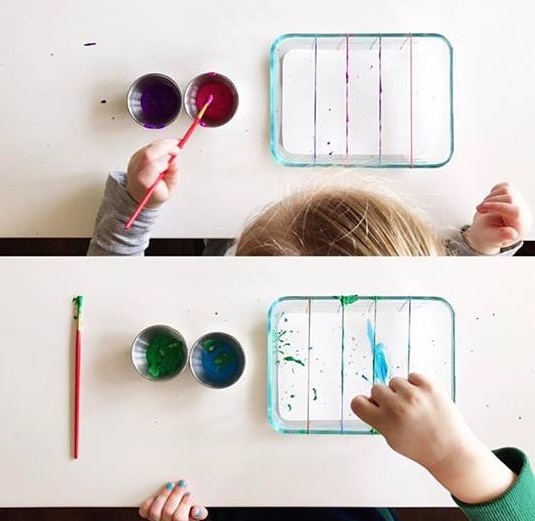 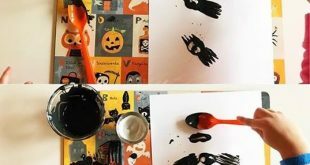 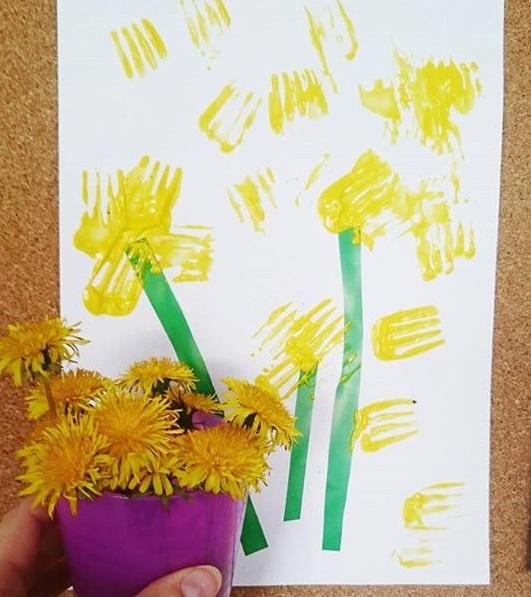 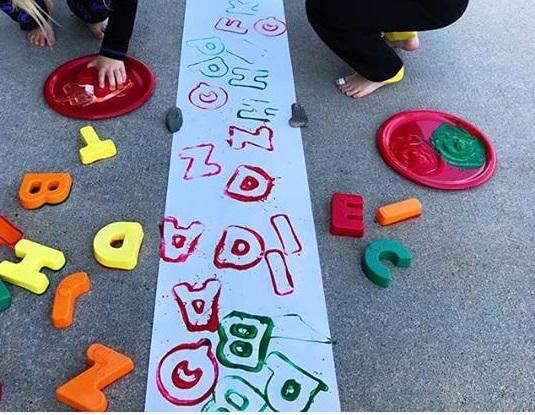 Demonstrate the activity fou your child.Pick up a letter and make the letter sound(letter b makes a ba sound).Dip the letter in the paint and set it on the paper.Continue with all the letters!